Biggest and youngest of the three cats, Buzz also has the highest voice – and though he doesn’t whine for food, he becomes hysterically vocal once Mommy has the cat food can in her hand. Purring and meowing at the same time, he stands on his back legs, stretched up as high as he can go, his tail vibrating furiously, until the food is in his bowl. Then he attacks the food and has cleaned the bowl (he gets a full can of Friskies filets in gravy) in about 90 seconds. Occasionally, however, he sniffs it and then diligently tries to cover it up. By that time I’m preparing to feed Cricket, who also gets patè. Maybe that’s better food than he got? I let him sniff the can. Ugh, no. He goes back and eats what’s in his bowl. Last to be fed is poor Cricket. That’s because if she gets fed sooner, Lucy will immediately go and eat the food. Lucy is Alpha Cat and Cricket is her browbeaten lady-in-waiting. I’m not kidding – Cricket will often be sent into the office to tell me LUCY is hungry. Cricket is so fearful of being shoved away from her food that she’ll almost never eat in the same location twice in a row. This morning it had to be in the living room behind a box where the others couldn’t see her. She didn’t finish, so later I had to move the bowl to the narrow opening between the highboy and the box. At next feeding she insisted on one of her other regular locations in the kitchen. She has about 6 or 7 preferred eating spots. She will sometimes refuse the food, even when it’s the same kind she had a few hours earlier. I’ve learned to take some food on my fingertips and feed it to her. After 3 or 4 fingers-full, she will consent to eat from the bowl. She also really likes to eat her food off the floor instead of out of a bowl. If kibble gets spilled, she’s in heaven. 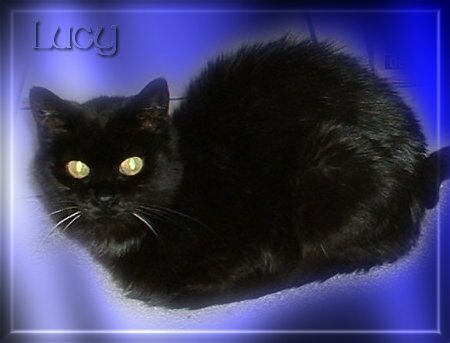 Lucy, because she usually doesn’t eat much at one time, has to have her food tended several times a day. Cricket, who also doesn’t eat it all at once, has to be shown where her bowl is or have it moved a few extra times. 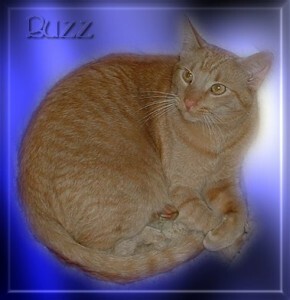 Buzz, bless him, eats it all and is done till next hungry time. 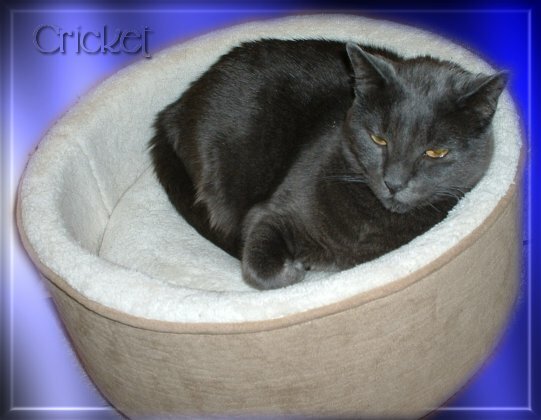 This entry was posted in Cats and tagged Buzz, Cricket, lucy, my cats by Echo. Bookmark the permalink.